The end of this month debut of the Samsung flagship concern, in the recent break under the material has basically surfaced, appearance, specifications, etc. have been exposed. 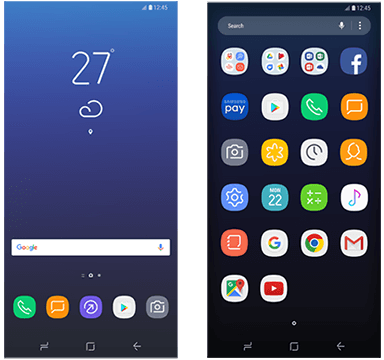 And today there are netizens broke the news, said Samsung's Smart Switch application APK installation files found in the Galaxy S8 Launcher and application icons, although the resolution of these pictures is not very high, but let us know in advance S8 user interface. The exposure of the Galaxy S8 system screenshots, I believe should be based on Android 7.0 Nougat operating system. 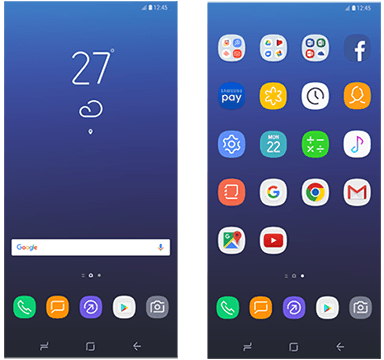 From the screenshot we can see in the integration of Samsung Experience skin to Android 7.0 Nougat in the process, provides a very simple user interface. Samsung Galaxy S8 has started the project, code-named "Dream"